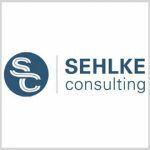 Professional services firm Sehlke Consulting has been named in Inc. magazine’s list of the 5,000 “fastest-growing” U.S. companies for 2017, with a recorded 2016 revenue of $6.9 million and three-year growth rate of 1,371 percent. The service-disabled, veteran-owned small business based in Arlington, Virginia, is placed at No. 319 in the 2017 Inc. 5000 ranking, No. 25 in the list of top Washington, D.C., companies and No. 17 in the ranking of Virginia companies. Founder and CEO Chad Sehlke noted that the company’s goal is to deliver “precision inspired performance” to help transform the business operations of government. The U.S. Marine Corps veteran formed the company in 2011 and it currently provides professional and management consulting services — including technology support and financial, acquisition and supply chain management — to the defense, civilian, homeland security and intelligence sectors. Sehlke Consulting is also certified under the Historically Underutilized Business Zone program for small businesses and employs military veterans who account for approximately 40 percent of the client-facing workforce.